This is a complete tour of Scandinavia including the Norwegian Fjords and Glaciers, along with the Scandinavian Capitals. One highlight after another awaits you on this trip through some of the most spectacular and fascinating scenery in the world. The perfect combination of incredible natural beauty – with deep fjords, glaciers, picturesque villages and majestic mountains and the pulse of the three capitals of Scandinavia – with their unique characteristic and charm. Traverse across Sognefjord - the longest and deepest fjord in Norway! Your tour begins this evening starting with a welcome dinner and a briefing with your tour leader. 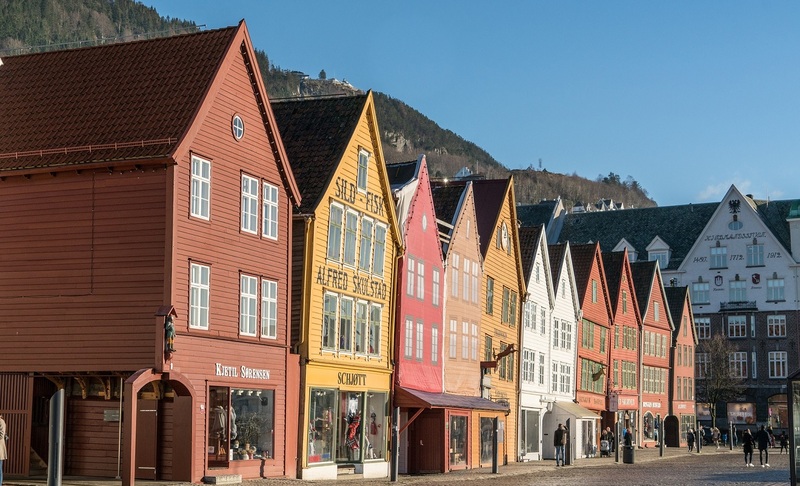 In the morning, depart on a two hour sightseeing tour of Bergen, includ­ing the popular fish market, and the historical part of Bergen known as Bryggen. 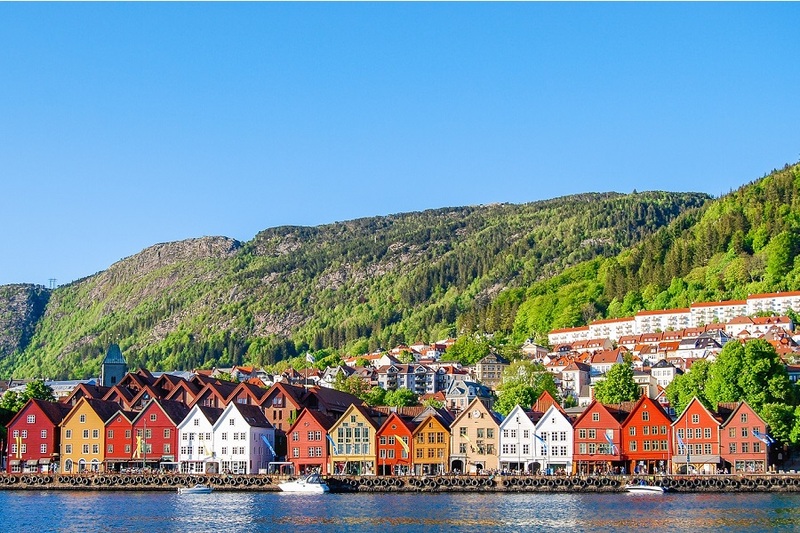 Depart Bergen and head into the beautiful Hardangerfjord, the orchard of Norway. Continuation via Voss to Stalheimen, situated on the very top of the Namdalen Canyon with a panoramic view over the valley. Drive via the panoramic route to the idyllic village of Flam, from where you enjoy a fjord cruise to Gudvangen. Continue in your coach to Vangsnes, crossing the Sognefjord, the longest and deepest fjord in Norway and arriving in Balestrand for check-in and dinner. Travel by ferry across the Fjaerlandfjord, before reaching Jostedal and the Breheimsenteret Gla­cier Centre located by the Jostedal Glacier. The Jostedal Glacier is, the largest glacier on the Europe a mainland. The whole glacier, and also some of the nearby valleys, is protected as a national park. In front of the glacier there 's a small lake, which can be crossed on-board the passenger boat. Unlike other Glacier's, here you can get right up close. Mid-morning journey across the Sognefjord again, this time to Flam, before boarding one of the most beautiful rail journeys in the world , the Flam Railway. A spectacular train journey that offers a panoramic view of some of the wildest and most magnificent nature in the Norwegian fjord landscape. The Flam Railway is one of the steepest train lines in the world on normal tracks, where almost 80% of the journey has a gradient of 5.5%. On arrival to the mountain station of Myrdal, you change trains and travel on the Bergen Line to the Norwegian capital, Oslo. 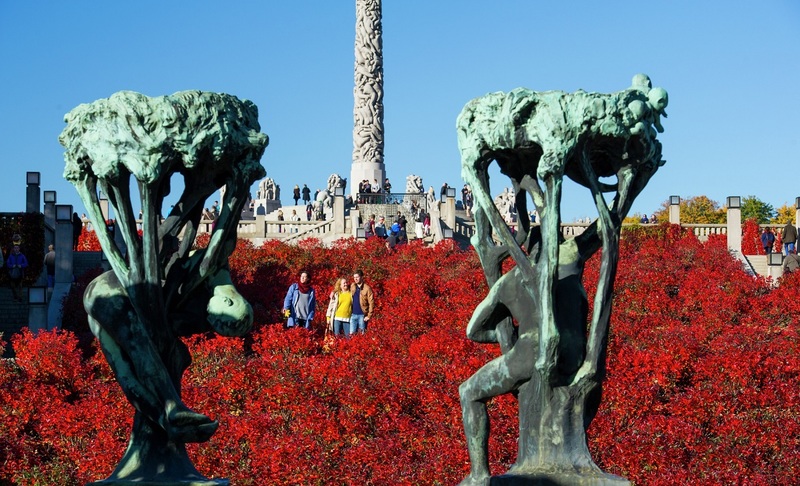 Enjoy a 3 hour city tour of Oslo including the Vi­geland Park with its 200 sculptures, a visit to Holmenkollen ski jump for a fantastic view over the city, and a walk on the Opera house. Afternoon is at leisure to further explore Oslo. 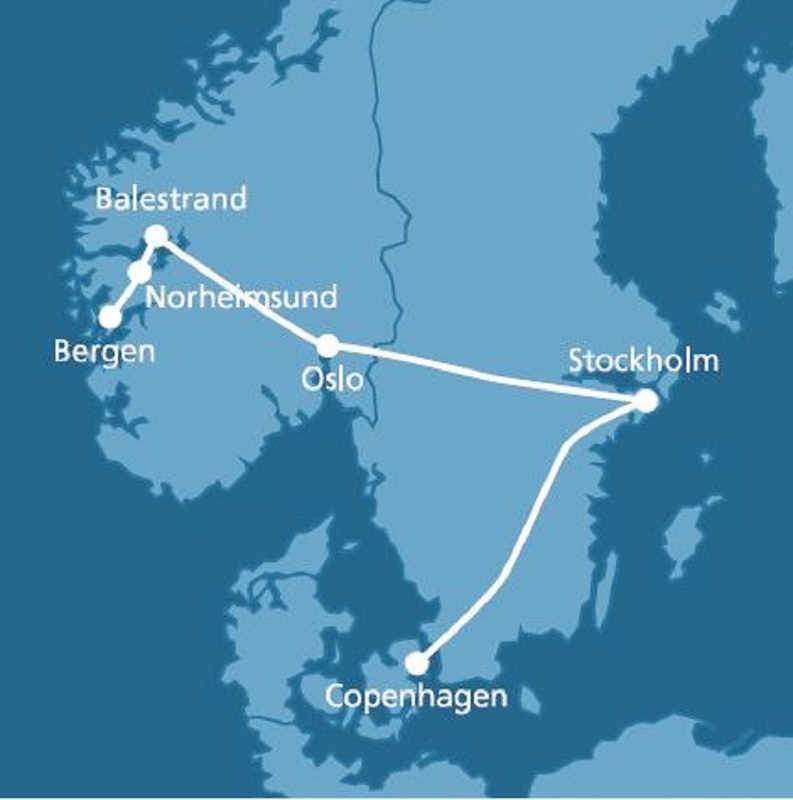 Travel towards Stockholm (train or bus), along the beautiful and idyllic countryside of Norway and Sweden. Arrival in Stockholm in the after­noon. Take you time to explore the atmosphere of the Old Town as you wander through its narrow streets, its historical and colored sights. 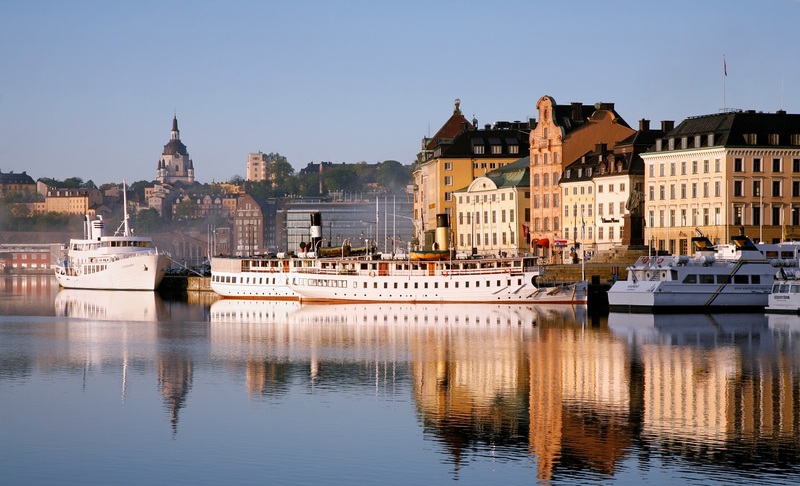 The day starts out with a 3 hour city tour in Stockholm. The city is built on 14 islands and is affectionately known as Venice of the north. 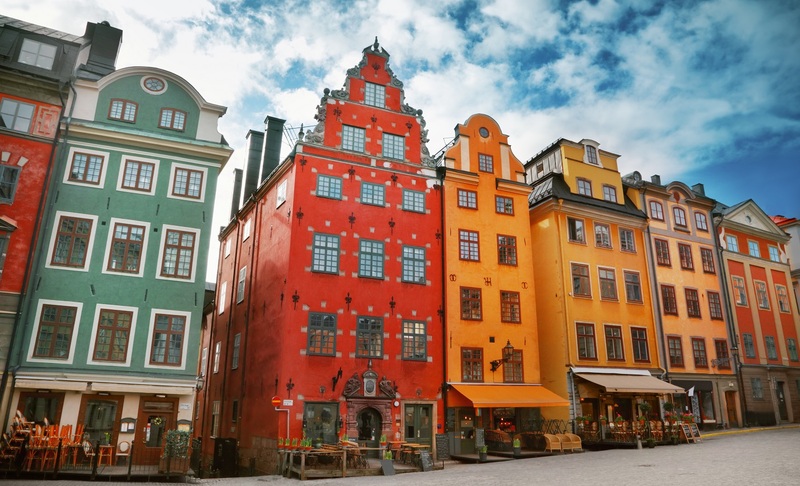 Must sees are, among others, the old city center of Gamla Stan, the seven-hundred-year-old ca­thedral of Stockholm, seat of the archbishop, as well as Storget Square (where the Stockholm Blood Bath took place) and Fjillgatan, where you will be able to enjoy a panoramic view of the city. Afternoon is at leisure to further explore on your own some of the other best-kept secrets of this elegant city. 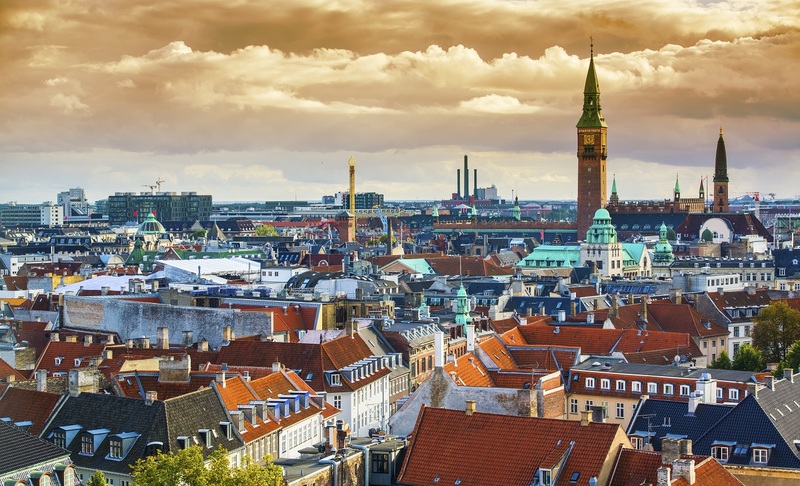 Depart to Copenhagen (train or bus) and travel to the enchanting capital of Denmark, Copenhagen. 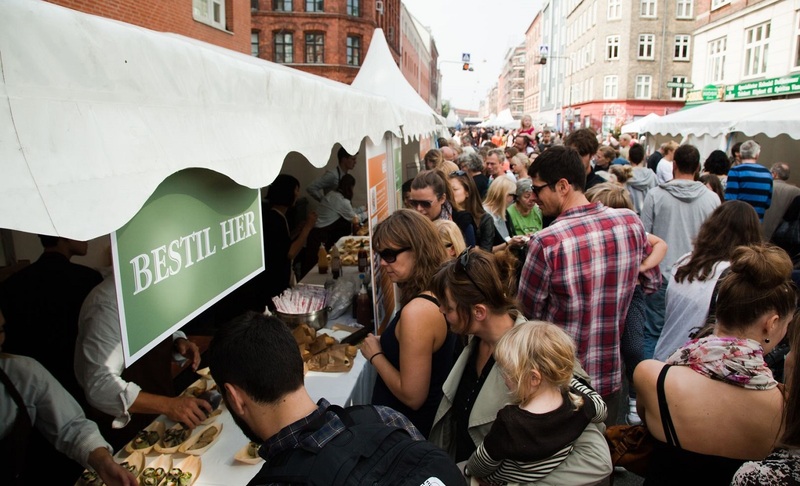 Travel south, across the lovely landscape of the Swedish countryside, via Malmo, situated by the coast and directly across from the Danish capital. The two cities are connected by one of the longest bridges in the world - the Oresund Bridge. After crossing the bridge (and partly tunnel), your journey ends in Copenhagen. The remainder of the afternoon and evening is at leisure. 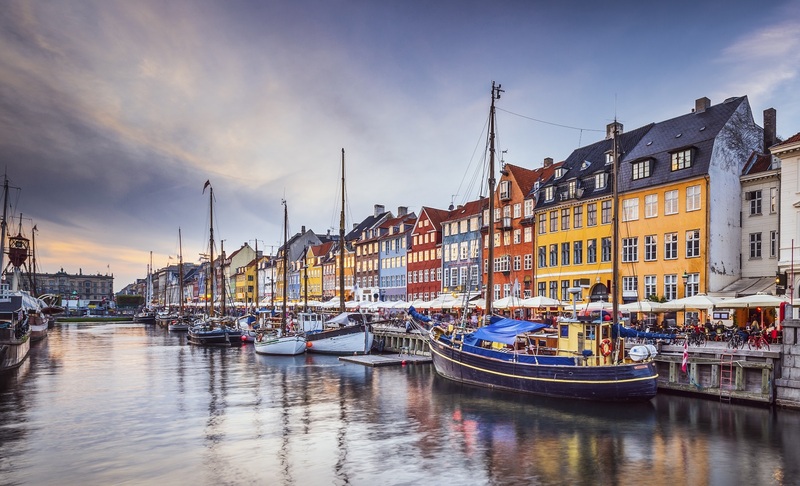 Enjoy a 3 hour city tour through the Danish cap­ital: The old waterfront district at " Nyhavn", the royal palace at Amalienborg as well as the famous Little Mermaid statue. The afternoon and evening is ideal for a visit to the world famous theme park in the heart of Copenhagen, Tivoli (optional activity). Today marks the end of your journey with us. You are welcome to depart at any time for your next adventure. The following departures are operated with bilingual tour leader, in English and Spanish or Portuguese: 21 Jul 19 & 11 Aug 19.